I felt very blessed to be expecting twins and had a fairy tale future lined up for us all even before my babies arrived in the world. It turned out that my fairy tale would instead be somewhat of a Tim Burton production – a bit dark, pretty weird at times but a celebrated success nonetheless. 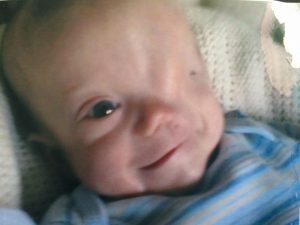 I have written before about my struggles to cope with the news that Harry had been born with a very rare cranio-facial condition called Goldenhar Syndrome. 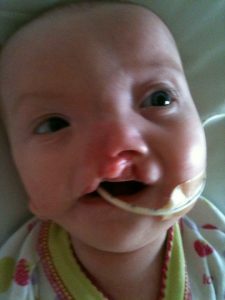 It was a particularly difficult time and I have often wondered if I would have coped better if I had known about Harry’s disfigurement before my twins were born. Ultimately it doesn’t matter now as I love my boy and his face beyond words but it wasn’t always that way. 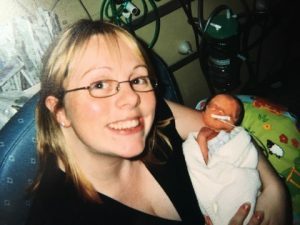 The first time I saw Harry properly, he was four days old and in a hospital miles away from where Oliver and I were as I recovered from an emergency caesarean. When I looked at him all I could see was the absence of his features – a concaved hollow on his smooth face where an eye should have been, the remnants of an ear lobe below a flat temple, the pin prick dot at the base of his right nostril, a bulge (of brain? We didn’t yet know) between where his eye brows should have been. 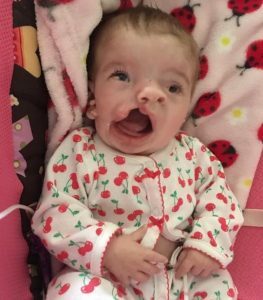 I saw all of that with my eyes but all I could actually see was my complete and utter failure to give my baby the most basic of things – a face. I often implore people now to see my beautiful boy with their hearts and not just their eyes. Back then, I wasn’t seeing him with my eyes at all and my heart was broken. 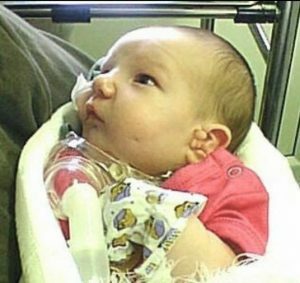 Once he was at the same hospital as Oliver and me, I was able to get to know him in the same way as Oliver and the unease inside me settled. However, I remember worrying about the reactions of others once visitors were allowed to see the boys and again when we took them home and out into the big wide world. When family and friends told me that he was cute I felt patronised and offended, believing that they were merely saying these things out of pity rather than because it was true. 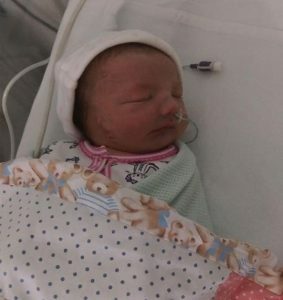 I had a hard time seeing him as cute, not because he wasn’t, but because my own trauma of delivering twins so prematurely without the knowledge of Harrys condition had affected my metal health more than I could have ever known. Underlying my reactions and internal turmoil was a lot of guilt and fear. Fear for my boys’ future and for my own too. I constantly questioned whether I was the mother this boy needed and deserved. Working through those feelings has been a slow and steady process but at the end of it, and in no particular moment or day, I felt like a tarantula who has stepped out of its old skin. Reborn. Now, I look at baby photographs and ache that my eyes didn’t see then what my heart adores now. Going back in time is never an option but moving forward is a choice every day. 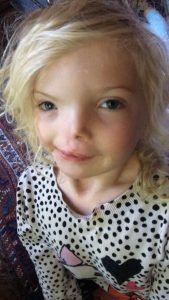 Facebook wasn’t the social media giant that it is today back in 2005 but I am now in a few different groups which support parents of children with craniofacial conditions and I have to say that never, not once, do I look at children in the groups and pity them or feel unsettled by their face. All I see is a beautiful little face beaming out of the screen. Loving Harry has taught me so much about who I am as a person and a mother and I am eternally grateful that my boys chose me to raise and love them. Without them I would never have known what true compassion was, that perfection is a myth ot that perfect imperfection is a wonderful thing. More than anything, my boys mended a heart which allowed me to see the world in a kinder and more accepting way. 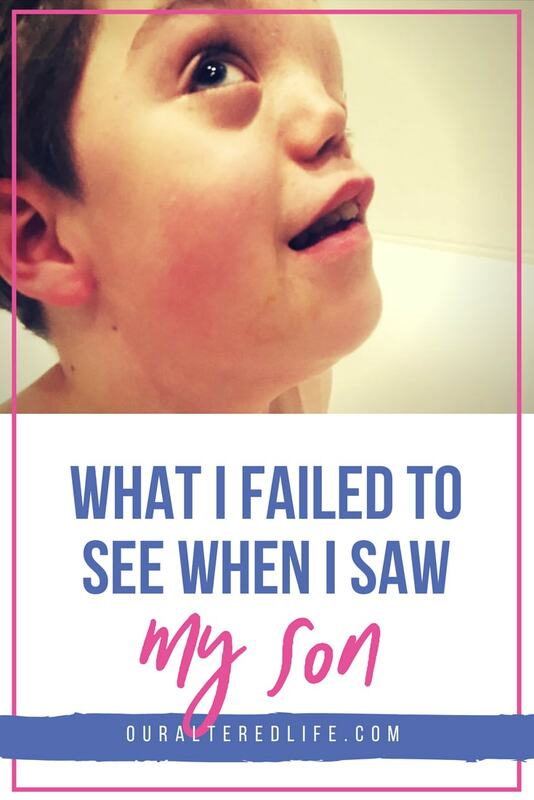 Maybe, if I had had two neurotypical children (bog standard as my fiancé hilariously calls our other children – read his amazing interview here if you get 5 mins) I would have been quicker to judge and slower to care, the total opposite of which is true now. I too suffered from postpartum depression and panic disorder after the birth of my son. He’s ten now,?and I have always wished that I could go back in time and enjoy his first few months without the fog of depression and anxiety. I feel as though I’ve been robbed of those precious moments. Best wishes to you and your beautiful family!